Earth Wind & Fire in Montreal or Quebec City? Inform me about the next events for Earth Wind & Fire. Enroll yourself to our priority waiting list for Earth Wind & Fire to be alerted when new tickets are available. Filling this form doesn't engage you to any purchase. Don't miss Earth Wind & Fire as they perform at the Bell Centre in Montreal on October 28th, 2016. The Motown and soul band will be performing alongside rock'n'roll band Chicago, as the two touring acts will be sharing a North American Tour throughout October, visiting 15 cities. 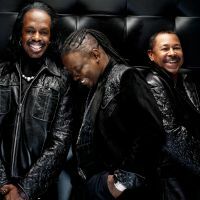 In over 40 years, Earth Wind & Fire have released numerous hit singles such as Shining Star and That's the Way of the World, both inducted in the Grammy Hall of Fame, as well as Devotion, Reasons, Boogie Wonderland and After the Love Has Gone.